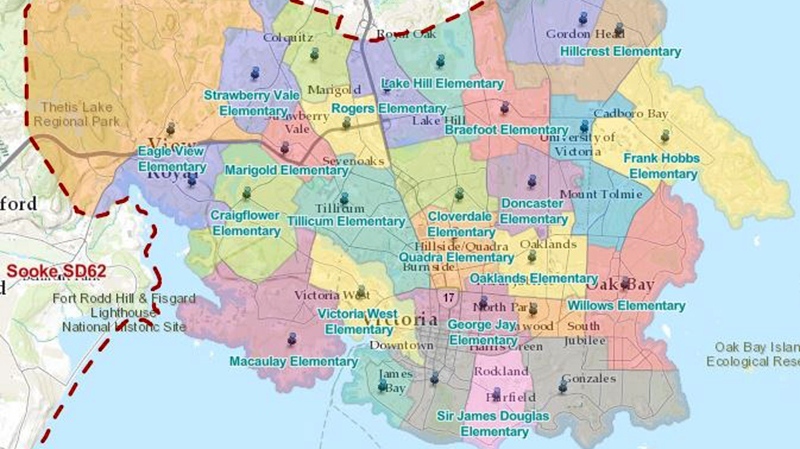 The Greater Victoria School District has opened up its consultation process on proposed boundary changes that would alter catchments for a number of schools in the region. 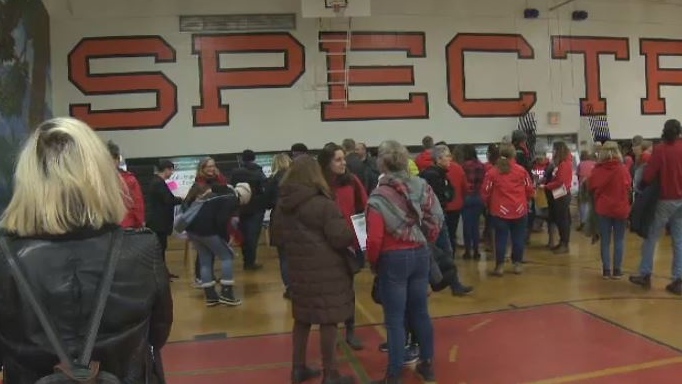 At an open house at Spectrum Community School Wednesday night, dozens of parents from South Park Family School showed up wearing red shirts in support of their school. They were concerned about the boundary changes that would see their school of choice turn into a neighbourhood catchment school. A school of choice allows students to attend from outside of its neighbouring community while catchment schools are mainly populated by students from the surrounding neighbourhoods. “So were here in numbers because we’re a pretty passionate group of folks. And we want to keep it a school of choice,” Wendy Tyrrell said. “We want to keep it a school of cooperation and collaboration." Some of the major changes proposed by the board could see South Park Family School, Cloverdale Traditional School and Victor School switch from schools of choice to catchment schools. Students already enrolled would be phased out, but, Ivan Fletcher says others families will be missing out. “My daughter will be able to go to South Park for the rest of her elementary education but it’s those future kids that are going to miss out on this amazing opportunity," he said. Wednesday was the first of three open houses being put on by the school board in a consultation process that one Cloverdale parent is calling rushed. 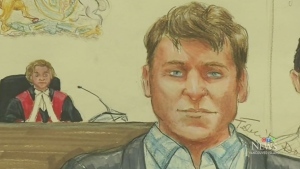 “I think this has been a very quick turnaround that we have three weeks, or even less than three weeks basically to get our opinions out there,” Karen Grigolato said. While Superintendent Shelly Green admits that some parents have expressed anxiety she says so far nothing has been set in stone, and input is encouraged. “We truly are in a consultation phase. 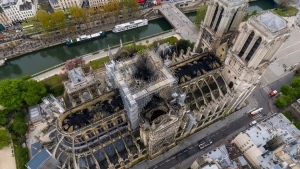 There has been no decision made, and we’re happy to hear their concerns, and hopefully share with them other opportunities that may be able to be put forward,” Green said.